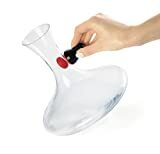 Do you find it nearly impossible to clean vases, decanters, baby bottles, wine glasses, or any container with a narrowed neck? 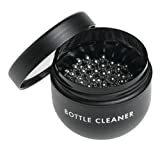 Then check out this cool new Magnetic Spot Scrubber. 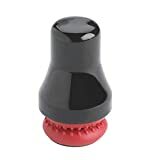 This ingenious little scrubbing tool cleans hard to reach spots that regular brushes, sponges, and hands can't reach. 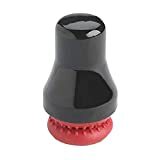 It consists of a magnetic silicone nubbed scrubber and a magnetic handle. 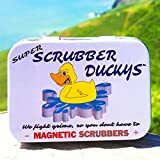 Just drop the scrubber into the dirty vessel filled with soap and water, grab it via the magical power of magnetism from the outside using the handle, and scrub away. Great compact cleaning solution. Check out the video demo below to see it in action.